After nearly a decade of letterpress printing, I’ve learned quite a bit about the history, process, materials, and business of stationery, weddings, and printmaking. I’ve become more and more specialized. I’ve learned what I like, what I’m good at. But, on the other side of the coin, I’ve learned where my weaknesses lie, what I don’t know, and what I’m okay with leaving to the experts. This list is not a message to say that I’m not open to working with outside vendors to help clients achieve their desired results. It’s also not a statement that I’ll never learn these things. It’s just a note to say that I’m quite aware that I can’t do it all and do it well—right now. And, while I’d love to continue learning, growing, and adding related skills to my craft, I’m also okay honing in on a few things, and working to improve, specialize, and innovate within the ones I currently possess in the time and energy that I have in this season. Below is a list of things I’m admittedly comfortable outsourcing so that I can focus on what I prefer to focus on: simple design, clean letterpress printing, and modern calligraphy. Man, a gold or rose gold foil detail as much as the next person. It’s such a beautiful contrast on a wedding or shower invitation and really makes an impact on soft white (or colored) papers. But, here’s what I’ve learned. In order to produce it, I’d have to repurpose and dedicate one of my presses to it. It requires a whole different set of materials and expertise. With a limited amount of space, I’m choosing to keep my press(es) dedicated to traditional printing. This is another way to customize paper that I really love—it’s a a great way to add a little something special by creating paper pieces with a special edge, shape, or cutout. But, again, this requires a set-up that I don’t currently have. I’ve figured out how to create these hand-cut circular tags, but outside of this simple technique, I’m simply not equipped. The common denominator for all of these things is that I really, truly like these things, and totally understand their appeal! This technique of printing two (or more) sheets and then gluing them together to create super thick cards (particularly good for business cards) is a great way to make your paper goods stand out from the crowd. I’ve seen this done before, but without the proper equipment, my little studio isn’t prepared to offer this. Maybe down the road, but not yet! I’ve tried this one time and one time only—and it nearly did me in. Colored edges add such a nice finish to double-thick cards and invites. From my research, the best way to achieve a good edge is to make sure your stack of paper is cut super uniformly, packed down tight with a book press or set of vices, and airbrushed. I attempted a method that I read about and only had so-so success with ink coverage. The kicker was that the edges weren’t dry after about three days. Yikes. It was sort of a nightmare. Until I have the time to devote to finding the right equipment and testing the method out (not on an actual client’s order), I’m happy to point you in the direction of someone who is more experienced! Cat’s out of the bag. . . .I’m not a formally trained designer. In fact, my knowledge of design programs is quite basic and on a need-to-know level. I’ve always gotten by with what little I know, and have been able to finagle my way through most challenges. I would absolutely LOVE to be able to invest more into education in this area and I really hope to be able to expand into being able to use different technologies to create. Some day soon, I hope, but not today. For now, I’m comfortable accepting premade designs (I love working with other designers) or creating simple ones myself. But, I’m not a logo designer. I’m not a web designer. I don’t know how to make files for nearly anything else but letterpress printing. I have much to learn in this area—and I want to! Alright, phew. It’s not always easy to talk about your shortcomings. But, there I did it. My hope is that getting better at what I know will benefit my clients, too. Here’s to finding our niches, digging deep, and trusting that we’ll find our way. I feel this sentiment so deeply and so often. Rare is the day where I’m able to actually produce what I see in my head. In particular, I have much to learn about the art of styling stationery, and there are a handful of folks I look up to for all-things-flatlay. And so I practice. I hone. I observe, and I do it again with the hope of closing that gap. Since my early days of printing (nearly 10 years ago now), I have picked up a few basic tips that have helped me to do some simple composing when I want to capture more interesting set-ups of my work for my portfolio or social media accounts. These tips can be helpful for wedding day details shots or just for personally capturing photos of your stationery pieces. 1. Plan ahead and batch. My little mini shoots always go much better when they’re premeditated and I have time to think more strategically about what and how I want to shoot. If I have a stack of recent work, I might spend some time thinking through what kind of images I’ll need and where I’ll be using them so that I can be sure to create the right sorts of images. Next, I like to spend some time on pinterest, with magazines, design books, etc really getting a sense of the general vibe an aesthetic I want for my images. Do you like straight lines or thoughtfully messy ones where items are more askew. I’m often inspired by food photography and I like really richly saturated colors. Don’t be limited by the wedding industry; seek inspiration wherever you can and create a digital or physical inspiration board to sum it up. I keep my prop collection together in a certain corner of my office so that I can grab a handful of things and put together a little mini-shoot on a moment’s notice, if needed. 4. Think about your color story. It was a little revolutionary for me to start thinking of my portfolio photography in terms of my brand color palette, but I’m so glad that I know have a lens to run my visual imagery through. The guidelines are loose, but I generally know I like to use photographs incorporating sage, dark teal, navy, blush, and ivory. Creating a cohesive color story really helps for maintaining visual consistency from my website to my social media—helping me use the same messages with my brand across platforms. Bring color into the process of deciding what kind of back-drop you want for your pieces. Are you a loose and flowy type, textured, or clean? Invest in a couple of linen styling boards or take a trip to Home Depot to get some marble tiles or rustic wood to use in shoots. It really helps to find a spot to shoot in your home or studio that allows for some consistency with your images. I always use the natural light from my house’s big front bay window in the early afternoon. This means that I get the same kind of light and at similar angles. I also always edit my photos with the same saved presets so that any small differences in lighting can be ironed out in post-production. A flat lay doesn’t have to look...so flat. Bump up some of the paper pieces with coins, books, or styling blocks like these. This just adds a little shadow and 3D-ness to your images. Start by placing your larger items down (ie: if you’re using a tray as a base), then build your paper pieces in from biggest to smallest. When you’re happy with the angles and placement, begin adding in your props. Just like in a painting, you’ll want to strive for visual balance. If you add a stemmed flower onto the right side of your image, think of using something like a ribbon in the opposing area to make your little scene feels properly weighted. "Break the necks" of some of your envelopes by bending them over backwards so that you can photograph them flat. Leave a few of your envelope liners unfolded for the same reason so that you can photograph them inserted into an envelope without a crease. Photograph each set-up in a few different ways (up close, zoomed out, at an angle). You may find uses for different parts of the same whole. 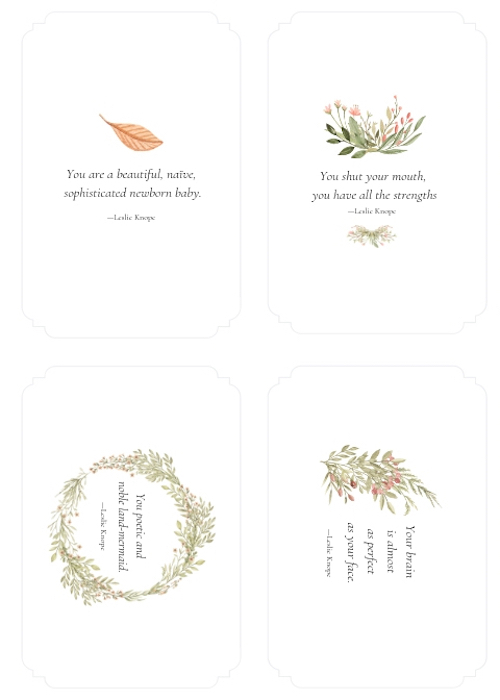 Check out some of my favorite stylists like Empress Stationery, Allie Hasson, and MaeMae. Most stationers have some opinions about what should and shouldn’t be included on your paper pieces. Emily Post has her own host of advice, as well. We live in an era where wedding traditions have not been abandoned, but they may have been adapted to include digital technologies where helpful. Suffice it to say, trying to balance etiquette and efficiency with tradition and taboo can lead to some serious confusion. I’m no expert, but I do think I’ve learned a thing or two about towing the line between stubbornly adhering to the arcane and altogether abandoning what’s good about days gone by. Wedding websites are one of my favorite ways to embrace the advances that modern technology has afforded in terms of communication with wedding details. Here are a handful of things to remember when creating your own little wedding corner on the web. You can (and should!) point wedding guests to your website early. I’m a big fan of securing a wedding website right away so that you can alert guests early (like on your Save the Dates). Even if you don’t have much information about your wedding other than the date and location, it can be helpful to have this set up so that as you fill in the details of your wedding weekend, people can return to the site and learn what they need to know. Particularly for out-of-town guests, having this information early can help with securing housing and making travel plans. Wedding guests should find all of your registry information here (and not on your printed pieces). This is a BIG one. Your wedding website can be printed on your wedding invitations (or my preference, on a separate detail card included with it) but your registry information most definitely should not. You can go into detail on your website about the places where you’ve registered and include links directly to the stores or lists, but it is never advised to include this information anywhere on the invitation or other paper pieces included with it. You can definitely print this information on shower invitations, but leave it off of the formal correspondence. This may feel risky, leaving you unsure if all of your guests will be able to navigate their way to your registry, but I assure you, most people will find a way to figure out where you are registered, even if they’re not very internet-savvy. It can be simple (but it doesn’t have to be! If the idea of creating a website from scratch is giving you hives, don’t fret! It doesn’t have be complicated, and there are plenty of free or inexpensive wedding website templates that can help take the load off. (The Knot and Zola are both great options). If all you need is a place to give your guests links to your registry and the address of your venues, then great. Plug that in and carry-on. But, if you’re interested in creating a local guide of your favorite coffee shops and lunch spots for guests to use during their time, go for it! Include short bios of your wedding party or a gallery of your engagement photos. Make your digital hub what you want it to be, and have fun with it, if it’s enjoyable for you to do so. Digital RSVP options can work in your favor. Giving people options for how to to notify you they are coming to your wedding is clutch. People are sometimes hard to nail down and being able to shoot a link over to a friend via text is a pretty sure-fire way to get the information you need about their menu preferences and the number of people in their party more quickly. Don’t get me wrong. I love (and prefer) a traditional printed RSVP card with a return-addressed and stamped envelope, but they’re not always best for getting timely responses (guilty…) So, do one or the other or both. The easier you make it for people to get your their info, the better. 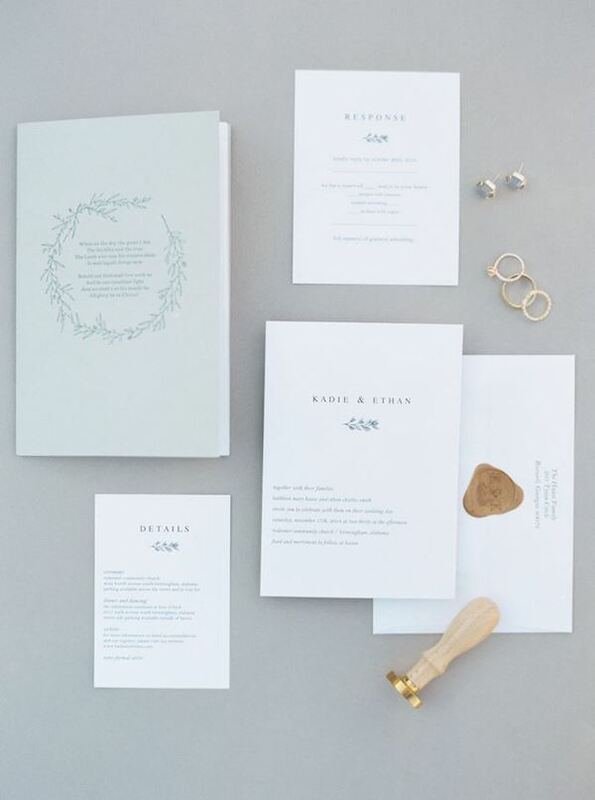 A site can reflect your wedding branding, just like your paper pieces. If you want to maintain some consistency with your wedding aesthetic (and get some additional use of the pretty design elements you’ve created) incorporate your monogram or calligraphed names on your wedding website. Ask your stationer to send you the digital graphics and explain what you’re doing. This gives you a chance to showcase some of the personalized details that you’ve invested time and money to produce, and that set the tone for the wedding itself. The week of a wedding can be an intense time of life. I know from experience. En route to my wedding destination, I had to pull over on the side of the road, stop at a fast food restaurant with wifi, and make changes to my wedding program file so that my now-husband could send the finalized proof back to the printer in time to them printed for our ceremony. The night before the wedding, rather than hanging out with my friends and going to bed at a reasonable hour, I was up stapling programs together…not exactly how I envisioned things. But, gosh, it sure doesn’t have to be stressful for you. And I’m here to ensure that it’s not. Below are a few hard-earned lessons so that you can prepare and sit back, resting in the fact that your important paper details are done in plenty of time. Set a deadline for finalizing your ceremony details. This is something I truly wish I’d established from the get-go. Our ceremony was one of the most beautiful, thoughtful I’ve ever encountered, and my husband was fastidious in making it so. But, I’m telling you what, it came down to the wire. Your ceremony is crucially important—the readings, the music, the order of events—so commit to devote some thought to it early on. That way, when it comes time to nail down your printed pieces for the day-of, you won’t be scrambling around to secure final details. Start early working on your wedding party bios, picking songs, researching ceremony order. It pays off to know what you want when the wedding timeline starts closing in. 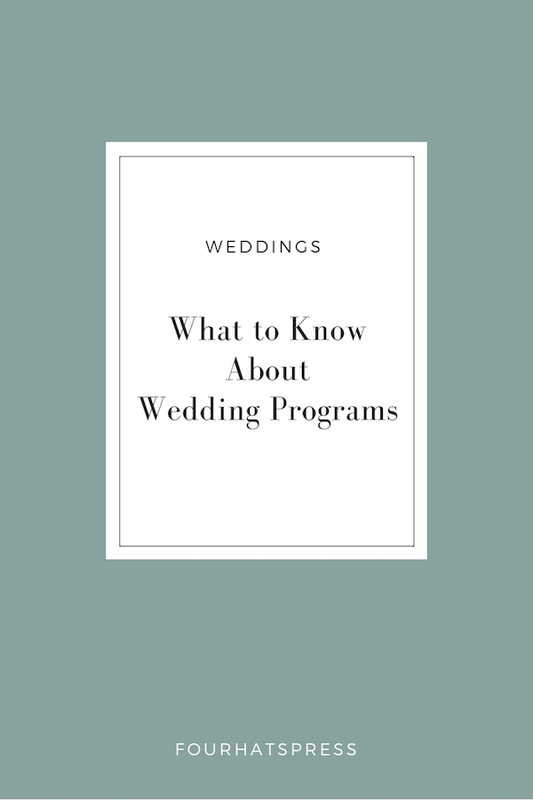 This is my number one recommendation for programs as it allows for you to make changes to you ceremony details as close to the day as needed (though….see above) and print the inserts yourself, either at home or at a local printer. This is also a great way to save a little money, as thinner copy paper is a less-expensive alternative to the higher quality stocks most fine printers use. These images showcase a program cover I created last fall for a wedding. 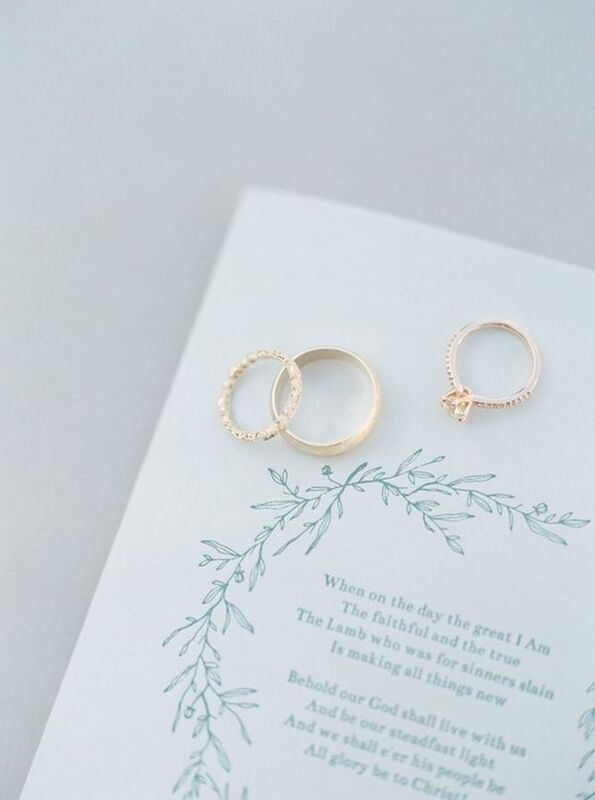 The delicate letterpress printed wreath encircled the words to a hymn sung during the wedding and the backside featured the couple’s name and wedding date. I really loved how the tone-on-tone color scheme brought in some of the couple’s palette, too. As I mentioned I used a long-arm stapler to secure my inserts to the covers, but had I had more time, I would have loved to hand-tie them closed with silk ribbon or saddle-stitch them together with twine. Especially if you have a little time on your side, think though how you want your final pieces to look. If you need help deciding on a way to fasten them, ask your stationer! Paper assembly doesn’t have to be a lonely late-night activity. Plan for a time when your wedding party will be together (like a bachelorette weekend) and prepare an assembly line. Creasing and folding papers, tying ribbon, and sipping prosecco is sure to be more fun when done with friends. Are you planning for a spring or summer wedding? I’d love to help you think through your day-of paper. I’m not one for going overboard on Valentines Day, but I always appreciate a little thoughtfulness. 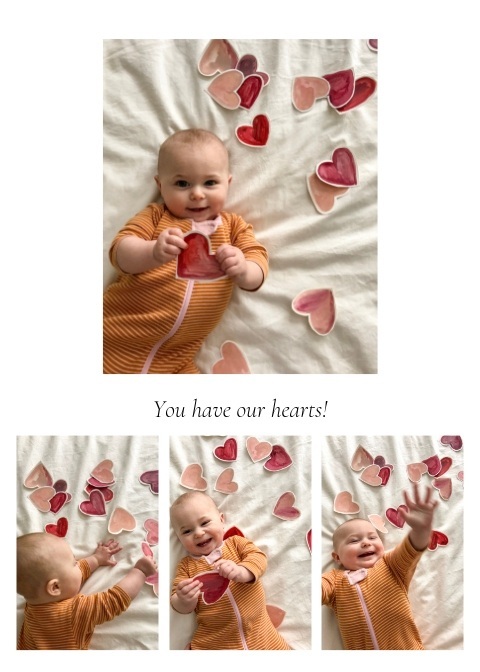 Coupled with some hand-painted paper hearts, I’m sending out a few little photo cards to my husband, parents, sister, and mother-in-law featuring my little love bug. I’m getting the photo collage printed on photo paper, but in a pinch, printing them on a high-quality color printer would’ve worked just as well! Because I love you all too, I’m sharing an editable version of this template for you to use in your own Valentine-making. I’ll save you the hassle of pasting and coloring. All you have to do is plug in your own photos and write a sweet one-liner. BAM! That’s it. Thoughtfulness sorted. Or, if that’s just not your style and you want some premade Galentines inspired by Leslie Knope herself, find that printable PDF through the same link! Or, generate some of your own stellar compliments using this tool. Enjoy and happy Valentine’s/Galentines Day!